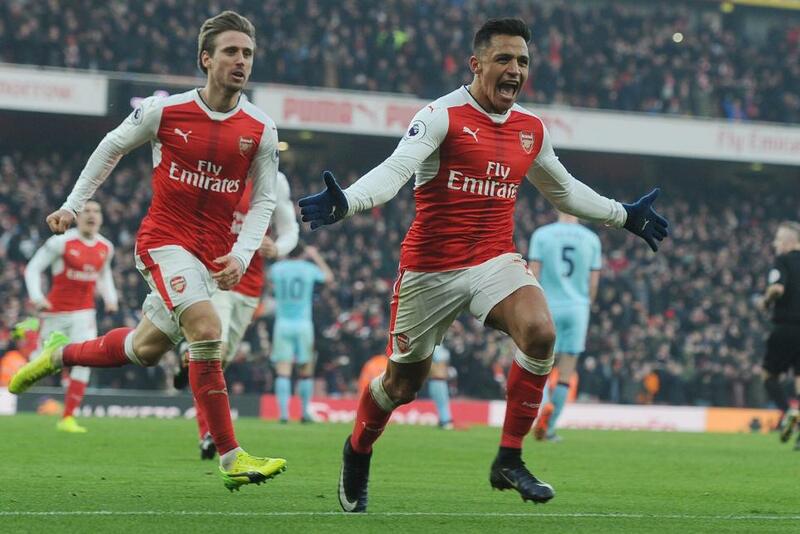 Alexis Sanchez earned a last-gasp 2-1 victory for Arsenal as two penalties were scored in stoppage-time. The Chilean deftly chipped the spot-kick down the middle of the goal following Ben Mee's foul on Laurent Koscielny, three minutes after Burnley's Andre Gray converted as Francis Coquelin tripped Ashley Barnes. After Burnley resisted Arsenal's pressure in the first half, Skhodran Mustafi headed in from Mesut Ozil's corner with 59 minutes gone. Granit Xhaka was shown a red card for a lunge on Burnley's Steven Defour, and then Gray netted before Sanchez struck the final blow in the eighth minute of stoppage time. The result moved Arsenal up to second, five points behind Chelsea before their meeting with Hull City.